There is another category of online blackjack games which you may be attracted to playing and these are the multi hand blackjack games. Depending on just which site you choose to sign up to and play at you will find more than enough multi hand blackjack games to keep you busy, and as the name of these types of game suggests when playing them you are able to play more than one hand per game. There can be a larger number of decks of cards in some online blackjack games which are structured as multi hand games and as such when playing them you will find the house edge of those multi hand games may be slightly higher than the single hand game. With that in mind if you do fancy playing one of the lowest house edge blackjack games available online which is Microgaming’s Classic Blackjack game then be aware the single hand game offers the lowest house e edge as the multi hand games boast a much larger house edge due to there being an increased number of decks in play in the shoe. To give you some ideas of just which online blackjack games are available in a multi hand playing structure and format we have listed all of those available below, you can play these games with up to five hands in play per hand and when playing them you can wager on each hand you have chosen to play from as little as 1.00 or as much as 200.00 per hand. Atlantic City Multi Hand – You will have five hands on offer to you when playing the Atlantic City Multi Hand Blackjack game and this is one of only a small number of online blackjack games that will give you the option of surrendering your hand when you feel there is no charge it is going to be a winning one and when you do surrender your hand half of your stake on each hand surrendered is returned to you. Classic Blackjack Multi Hand – We would advise you not to play the multi hand variant of Classic Blackjack online when playing at a Microgaming powered casino site for when you do you are going to find it has a much higher house edge than that of the single hand variant, the reason being the multi hand games has more decks in the shoe. Big Five Multi Hand Blackjack – Another blackjack game which will offer you a surrender option is the quite unique Big Five multi hand game variant, this game has an early surrender option and both the single hand and multi hand game uses a five deck shoe of playing cards. A range of staking options are of course available which start at just 1.00 but can be increased up to a maximum hand stake of 200.00 so by playing all five hands you can wager up to 1000.00 on every game played. Multi Hand Bonus Blackjack – When you play the multi hand bonus Blackjack game you are given the option of placing a side bet wager on any or all of the base game hands you play. There are a range of bonus payouts that you can be awarded with but those payouts are only awarded when your initial two cards dealt out to you are one of those listed on the bonus pay table attached to this game. Multi Hand Double Exposure Blackjack – Be aware that there are some very unique game play rules in play on the multi hand Double Exposure Blackjack game variant, the one most obvious one is that the dealer never deals any of his cards facing downwards which means no matter at what stage of the game you are at you are always going to know just what cards he has in his hand. You will also have to adopt and put into play a completely different playing strategy when playing this game optimally and as such make sure you download our blackjack strategy card for this variant. European Blackjack Multi Hand – One popular blackjack game variant that in addition to it being offered as a single hand game can also be played as a multi hand game is the European Blackjack game. This is another multi stake game and it is also one which does boast something of a relatively low house edge, but as is always the case you have to play off every single base game hand optimally to have the best winning chances. If you play this game you can play up to five hands per game. Perfect Pairs Multi Hand Blackjack – One of the more interesting blackjack game variants which use the European Blackjack game as the base hand game is the Perfect Pairs variant. When you play this particular game in addition to your base game hand wagers, and you can in fact play five hands per game played, you can opt to additionally put into play a bonus side bet wager. That side bet awards one of several different winning payouts when a pair of cards is dealt out to you as the first two cards to any one single hand on which that bonus bet has been placed. Vegas Blackjack Game Variants – When you choose to play multi hand blackjack games online you will find that quite a number of them have been made available with the same game play rules as are found attached to blackjack games on offer in Las Vegas. You will find for example when you choose to play at a Microgaming powered online casino site you can play a Vegas Downtown variant and also a Vegas Strip Blackjack game variants for free or for real money. 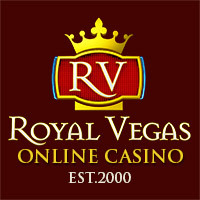 Both of those blackjack game offer their own unique set of player and dealer rules and both offer all of the standard hand winning payouts. Check out of blackjack game reviews for more information as to which blackjack game you will get the best winning chances on.